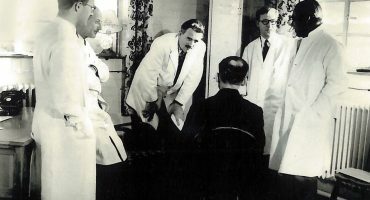 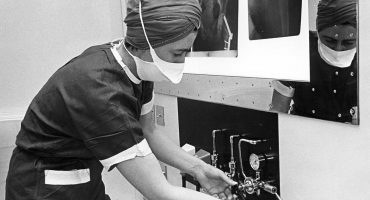 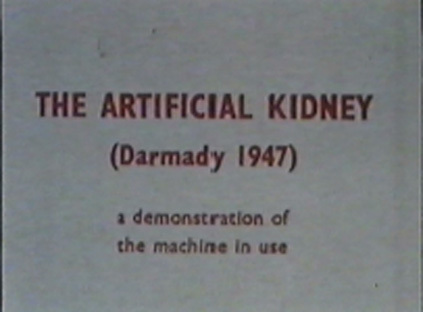 The first kidney dialysis machine was developed here at Salisbury by Dr Edward Darmady (1906-1989). 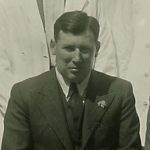 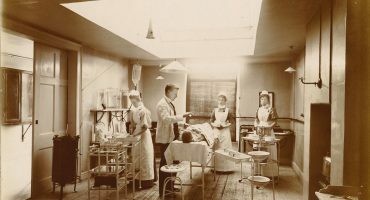 He was the Salisbury Infirmary Assistant Pathologist in the 1930s and RAF Squadron leader during World War 2. 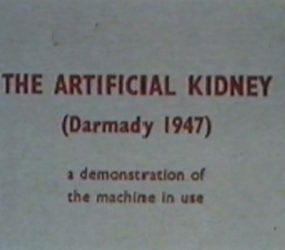 In 1946 Darmady experimented in constructing his own dialysing machine that was powered by parts dismantled from World War 2 spitfires. 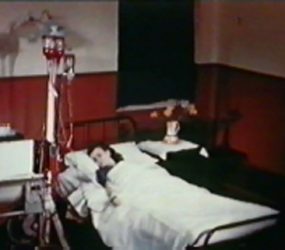 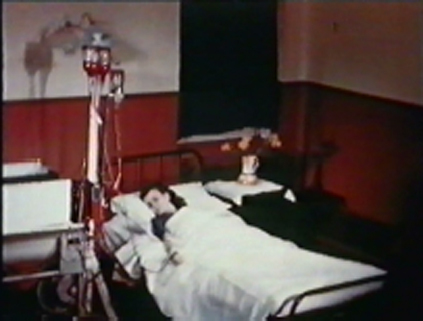 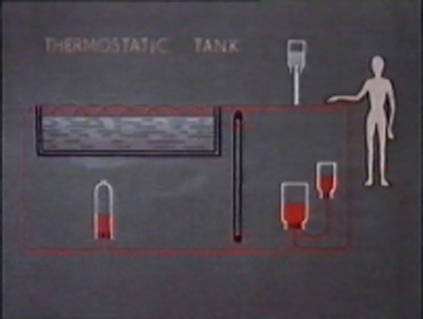 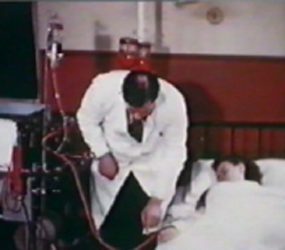 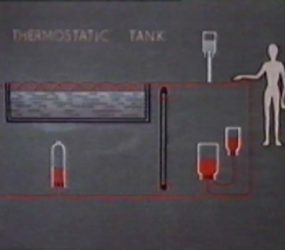 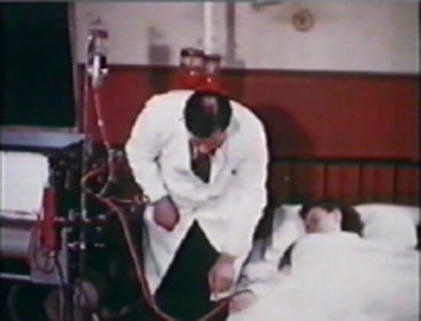 Clinical results were never published, but it is known that at least two patients survived the treatment, and Darmady is recorded as creator of the first dialysing machine in England. 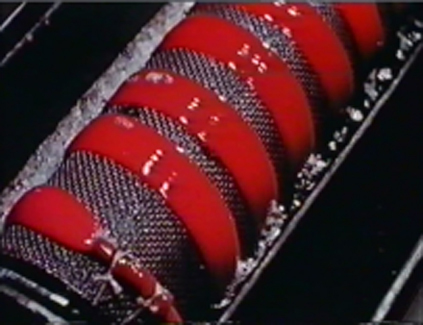 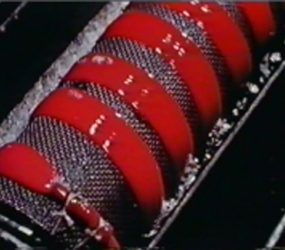 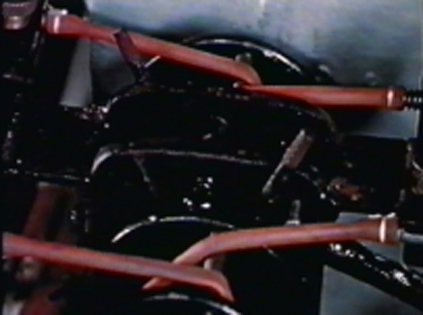 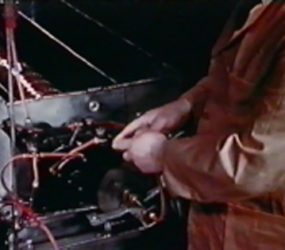 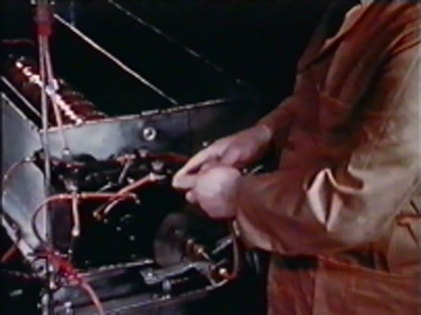 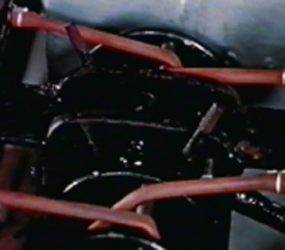 We have archive film footage of those pioneering experiments and below are some images taken from this film.